This was the grisly scene from 24th St. BART this morning. Do bike thieves carry high-powered lasers or something? I prefer to think of bicycles being on temporary loan from the universe, so I guess I won’t be too bummed when someone collects on my $25 rusted Murray. My room mate’s bike was foolishly locked to the chain link fence behind our apartment. One night my neighbors woke up to the sound of some thieves grinding away at the U-Lock with some kind of power saw, sparks flying everywhere. They luckily scared the thieves away, but the next morning I noticed they had sawed their way through nearly half of the burly u-lock….. yet they had left the 1/8″ chain-link fence untouched. Smart guys. That’s why I lock my bike to a gas line. that’s an idea. i’ll try high voltage power lines next. Smart Guys, Good Looking Guys. Cordless angle grinders are pure evil in the wrong hands! There are alot of graveyard bikes at that station. It would help if they let people put their bikes on the last Bart car even during commute hours. There’s room back there. Wha? Have you been awake during rush hour?? Definitely no room in the last car. Hey, I am doing research on population distribution within a given BART train. I’d love to get photos of your last car experience, with date, time, location. Here’s something I’ve always wondered: What’s with u-locks that are left intact on the bike rack? Did someone cut the bike? Did someone just decided they didn’t need the lock anymore? I’m confused. 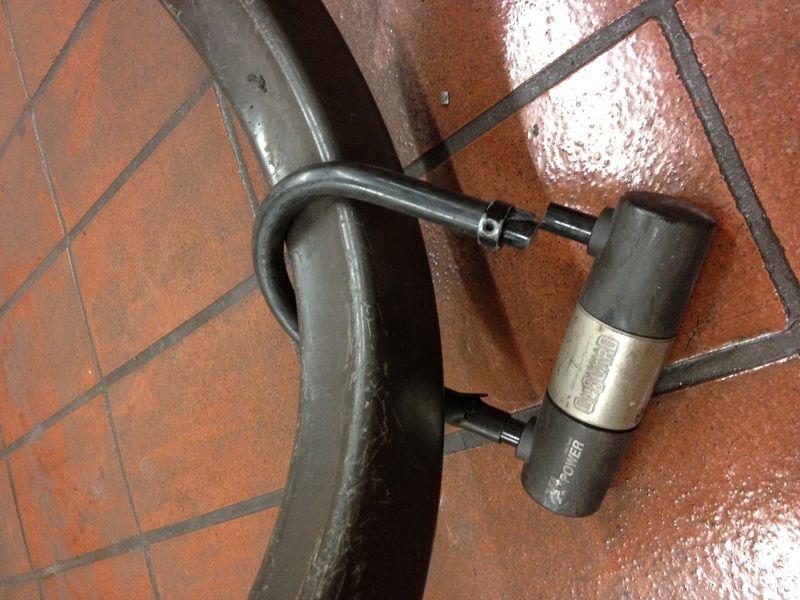 Commuters sometimes do it as a way to save weight, especially if they have secure parking at the final destination – leave the lock where you need it so you don’t have to carry it around with you all the time. I’m sure some are just abandoned, though. THANK YOU! My friend and I were just wondering this a few days ago, as we locked up our bikes to a rack with an abandoned lock! Inside job. the ghetto workers let their friends in to steal bikes. Bart workers make like 90k a year, I wanna live in that ghetto. They must spend it all on crack and food. Most of them look like they were too lazy to pick up a welfare check, so BART let them sit in the booth. Do you have any idea the level of crazy your average BART worker gets to deal with? Nice casual racism you got goin’ there, sparky. Yo Vic- it’s gristly, not grizzly. Unless the bicycle was stolen by a bear. I’m new here so I’m not super sure. It’s not filled with ground up cartilage either. The correct word is GRISLY. Way to correct someone six hours after she corrected herself. Way to add less than nothing to the content here on MM hourly, Herry. 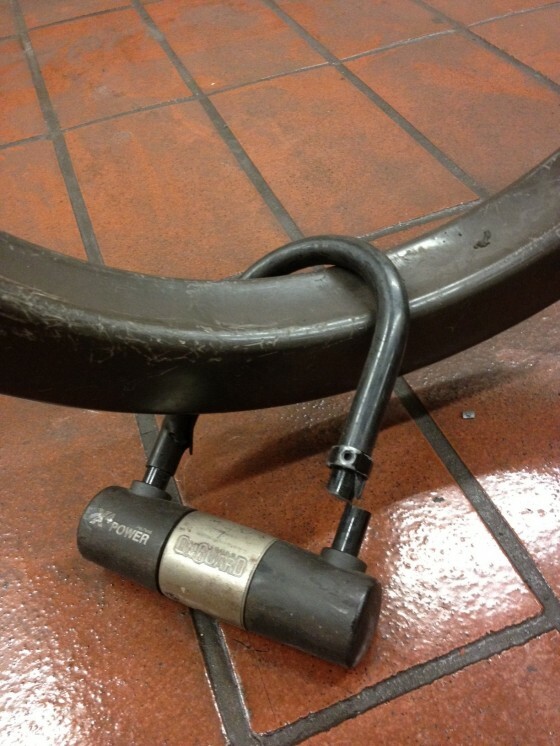 Not all U-locks are the same. Some have harder steel than others. • That U-lock is very far from mighty. As for that cable, there are 5yos who know better than to use one. 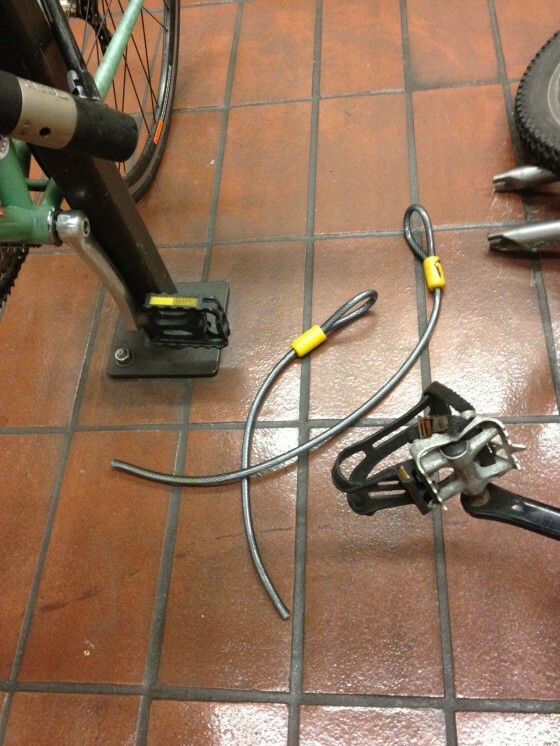 And I know 5yos who are more intelligent than to insult cable-lock-using cyclists that way, Mr. Dyer. I have a thinner one than that that serves me just fine. But then, maybe it helps that the destinations where I park my bike are generally of less-yuppie-scum of varieties than the ones that you obviously frequent. Oh man i say the bart worker at the booth should make a check up every hour. Every lock has a key, and locks only keep the honest people out. I heard this for the first time from my high school History teacher and it’s always stuck with me. Very simple and very true; if somebody wants to get in, they’ll get in. It’s like getting chased by a bear: you don’t have to outrun everyone, just the slowest person. You don’t need to have the best lock there is if you always make sure to lock up near a nicer-looking bike with a worse lock than yours. If someone has their heart set on your bike then the only thing you can do is never leave it unwatched in public. 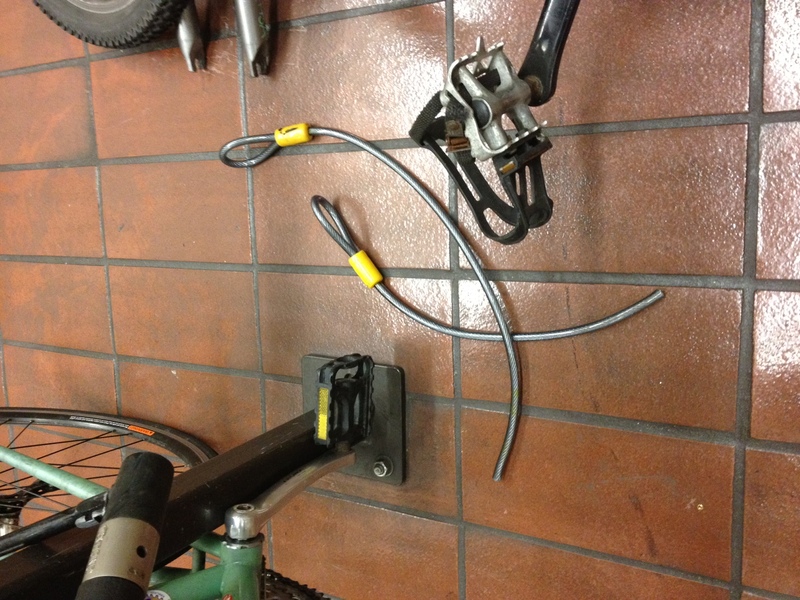 I witnessed some bike thieves using a 120V electric angle grinder powered off their truck, cutting a lock outside the main SF library. I called the cops and they showed up but couldn’t arrest or even cite the guys, apparently because they claimed the bike was theirs and they just lost the key. I put my cell phone number on my bike so that cops can call me in such a situation. protein because of the work it does to build and repair muscles. looking for a related topic, your web site got here up, it looks great. case you continue this in future. Lots of other people might be benefited out of your writing.